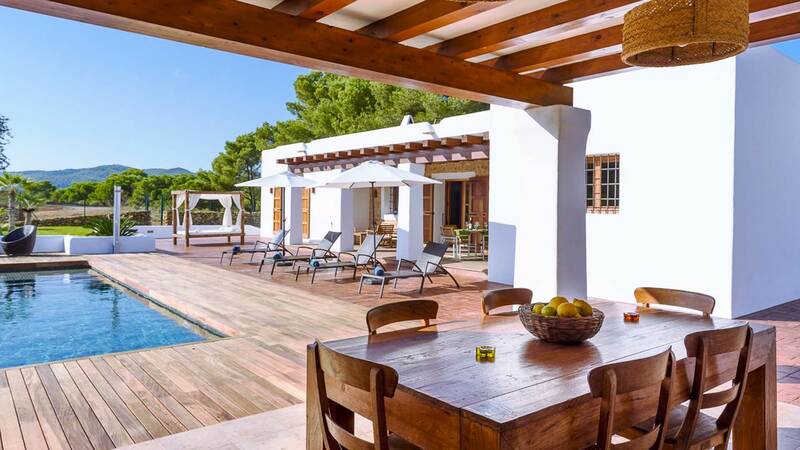 Traditional Ibizan house of 180 m2 situated on a plot of 15,000 m2, with beautiful mountain views. Room, Ground level, connecting room. This bedroom has 2 twin beds 90 cm. Bathroom outside the room, shared, With 2 washbasins, shower. 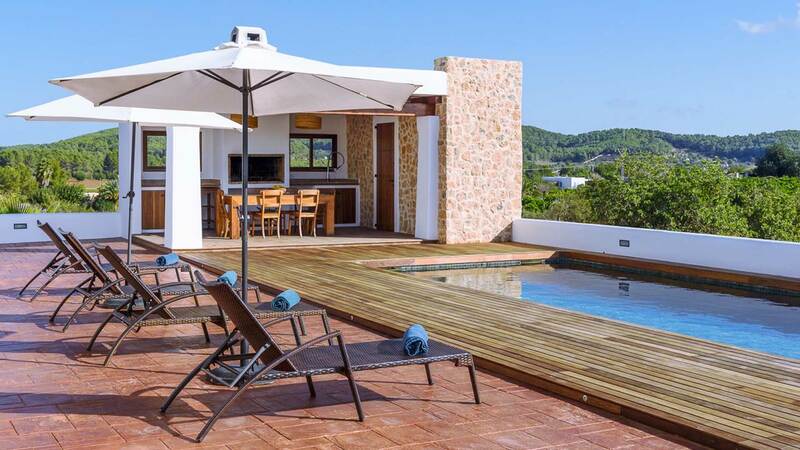 Room, Ground level, direct access to the terrace. This bedroom has 1 double bed 180 cm. Bathroom ensuite. 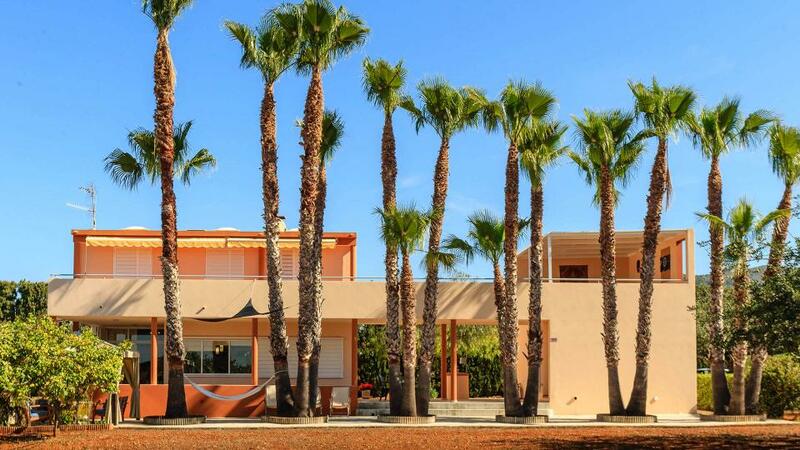 This bedroom includes also TV. Living room with fireplace and TV (satellite), Dock Station ( iphone). 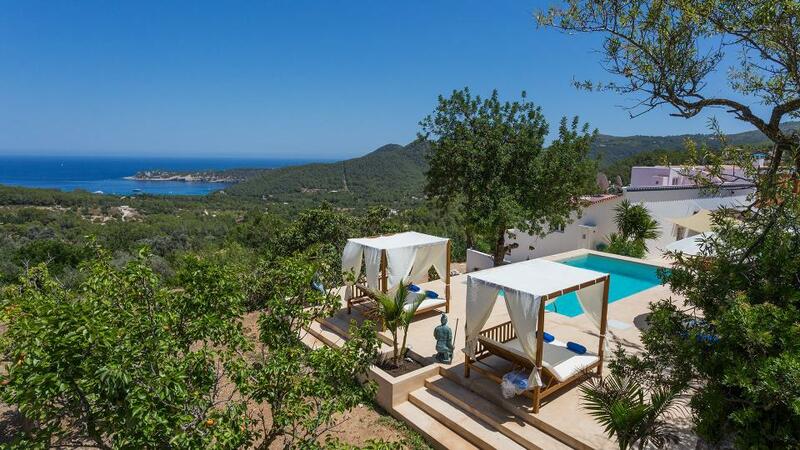 Located on a completely rural area of 15.000 m2. 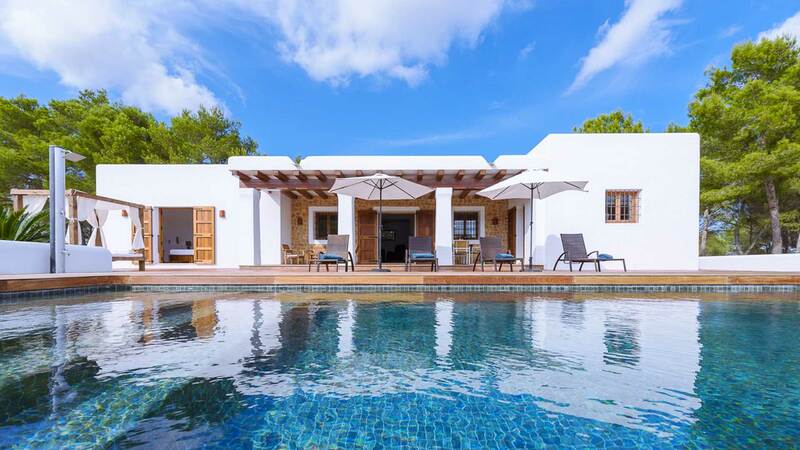 Very close to the picturesque village of Santa Gertrudis, one of the most popular meeting places of the island, and only 10 km from the city of Ibiza. 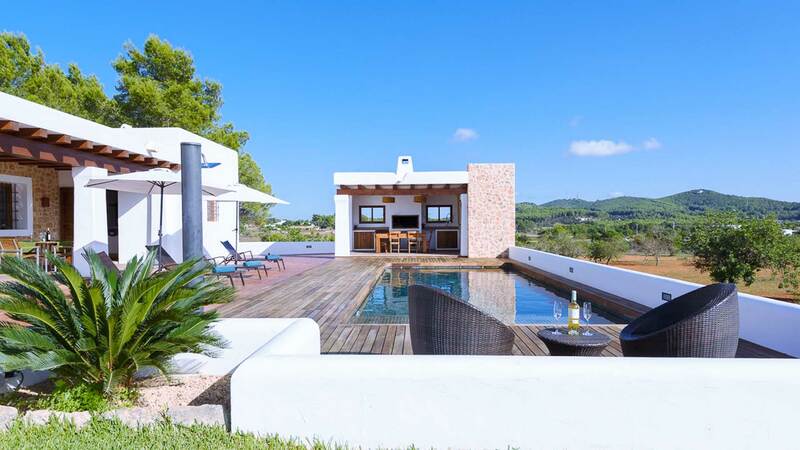 Thanks to its convenient location close to Ibiza is ideal for those seeking tranquility and privacy of a private villa, without giving up the convenience of being just steps away from the hectic life of the city.